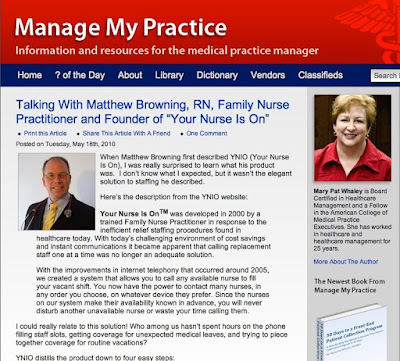 YourNurseIsOn.com with a bit of tongue-in-cheek for Nurses' Week 2010! 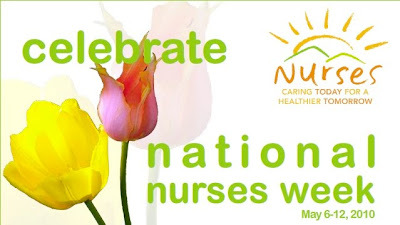 Thank You Nurses! for all you do for all of us- EVERYDAY! 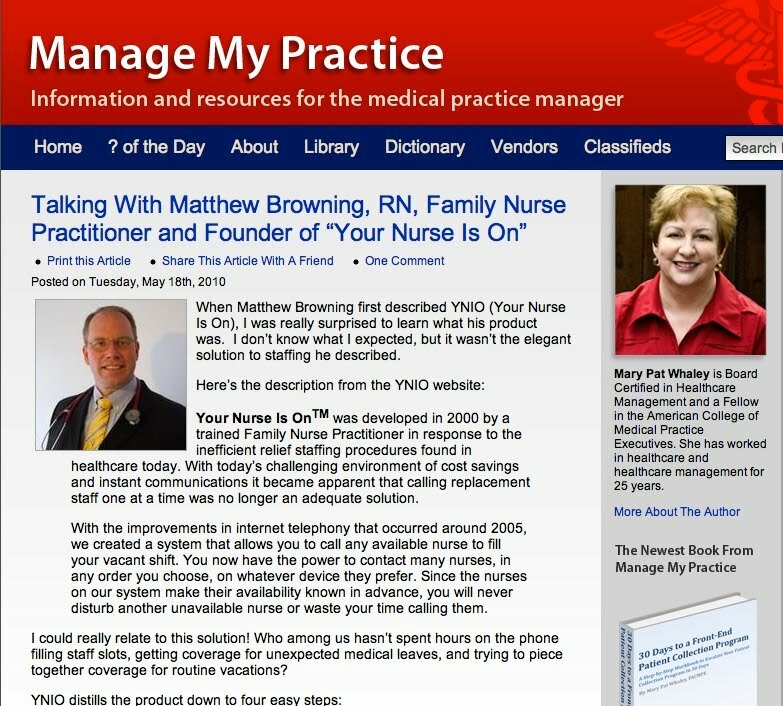 YourNurseIsOn.com CEO Matthew Browning is featured in Healthcare IT Today for Nurses' Week 2010. Mr. Browning thanks the wonderful team at Healthcare IT Today for this honor and wishes all nurses a Happy National Nurses' Week 2010! !